Unitec back-up rollers in tension levelers are essential to support and limit the movement of the work rollers, in order to get excellent quality on the metal sheet. Unitec manufactures a wide range of special cylindrical roller bearings for all kind of applications up to high precision bearings for machine tools. Unitec is based in Italy and has distributors in all major industrial countries. It has a subsidiary in Germany: ITM UNITEC GMBH. Unitec is certified ISO 9001 and ISO 14001. Unitec exhibited its back roll bearings at the “Euroblech International Exhibition” in Hannover last October 2018, together with UNIROLL, a well-known trusted partner in the steel and aluminum leveling sector in several European countries. The task of the back-up rollers in tension levelers is essential to support and limit the movement of the work rollers in order to get excellent quality on the metal sheet and reduce potential defects who may cause difficulties in the laminating operations with subsequent slowdown and loss in production. Well aware of the importance of this processing phase, Unitec uses high purity quality steel for the production of its back-up rollers for tension levelers, with or without shafts. In this way, in addition to the increase of the bearing life, it can be ensured that the finished product will be free from imperfections caused by the rollers themselves. 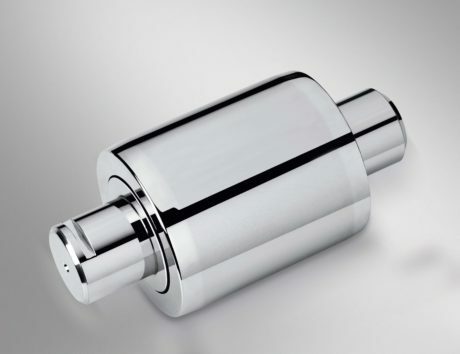 The effectiveness of the production process of Unitec is particularly important in the case of flat products in stainless steel, aluminum and copper, for which the surface finishing represents a fundamental characteristic of the product. Another issue in the processing of the sheet is caused by unscheduled production lines stoppages due to unforeseen maintenance interventions. Also in this case the fallout on the production cycle is immediate, with delays that impact the production itself. To give a concrete answer to the problem, Unitec has implemented technological solutions in the production phase of its back-up rollers which have the objective of improving the performance and the useful life of the bearing and consequently extending the maintenance time. Among these we mention the rolling elements with a logarithmic profile, which distribute the hertzian pressures between rolling element and rolling track. The shafts made with special steels improve the toughness and avoid possible fatigue failures that are very common in this type of application. Unitec back-up roller, by Mondial. The task of the back-up rollers in tension levelers is essential to support and limit the movement of the work rollers in order to get excellent quality on the metal sheet and reduce potential defects who may cause difficulties in the laminating operations with subsequent slowdown and loss in production. 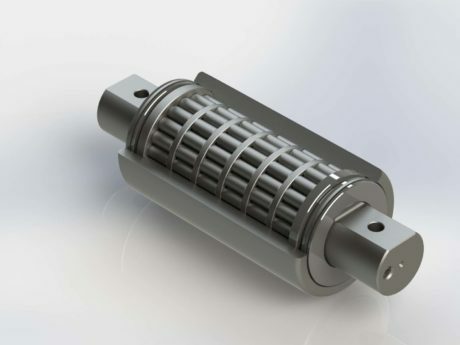 Again, in order to improve the bearing behavior and extend its life, Unitec has also adopted axial containment with a cylindrical roller cage. Concerning the sealing system, the choice is FEY laminar rings, capable to operate with high temperatures and reduce the rolling torques, with the guarantee of very high efficiency throughout the life of the bearing. For the purpose of lengthening the maintenance intervals, a lubrication circuit inside the bearing is specifically designed in order to provide the lubrication of all the axial and radial rolling surfaces. The camber of the outer mantle of the back-up rollers is adopted to counterbalance possible misalignments of the machine supports. Unitec supplies the rollers in radial or axial-radial versions. Moreover, depending on the type of application, the company can supply, on request, also seals in metal or synthetic material.